On the subject of monitor brightness... My Eizo CG211 is set to 80cdm/2 and I work in a very dark room, (just a proofing light in the background for company. Prints come out as expected and albums printed by other sources are just fine too. The second there's ambient light in the room everything goes to pot though so blackout curtains and doors closed are order of the day. Upside is the wall colours in the room don't matter, and the screen life is much extended. I have my laptop set to about 100-120 cdm/2 when I'm working in ambient light with a hood over it - seem,s to work. While I love the idea off calibrating your screen, I had a bad experience when I bought a Spyder and calibrated my Macbook Retina a few months ago. When I viewed my photo on my phone, it was completely different looking in tones (as well as everyone elses phone). If there's a work around for this I would appreciate it. Phones, especially Samsung's latest have terrible color accuracy ( especially Samsung, is oversaturing every single color tone ). The Spyder would've made things better in terms of exposure ( "brightness and contrast" ) on your retina, your prints would be closer to what you saw on the screen. The worst thing is no matter what you do, unless the other person viewing your photo has calibrated his monitor, or at least he "tweaked" the stock settings to a better ( closer ) match to the sRGB standard, they'll be seeing your photo differently. If I recall correctly, both DataColor ( with their Spyder series ) and X-Rite now have applications for smartphones ( they get the colors to display more accurately, but within their own photo viewer application since iOS/Android/WindowsPhone do not expose the color look up tables and graphics settings for grayscale, etc. I'd stick with the calibrated result and profile, if another person has "issues" with your photo's exposure or colors and his monitor is badly configured, it's his "fault". I can't wait for the day somebody, somehow, forces the manufacturers to truly calibrate their monitors for sRGB before sending them off to the shelves. "The Galaxy Note 5 Basic screen mode has the most accurate display colors for reproducing all standard consumer content (sRGB / Rec.709) of any Smartphone or Tablet display that we have ever tested, with a measured Absolute Color Accuracy of 1.4 JNCD, which is visually indistinguishable from perfect, and is very likely considerably better than your living room TV. The previous record holder was the Galaxy Note 4." I'm talking about their out of the box state my friend. Out of the box they are oversaturated and way off. Most of them sadly never find their way to "Standard" mode. People like oversaturated photos and looks unless directed otherwise. That's why you see the same sh1t in consumer electronics shops, where all the TVs in display are in the silly Dynamic Mode ( crazy brightness ) and with the saturation high. Dynamic Contrast fully on, etc etc. Great article. Bill, I have a question. I use a ColorMunki Display to calibrate my 23" Apple Cinema Display. I normally set it to 100 cdm/2. I usually edit in a dimly-lit room. Should I be setting it to 120 cdm/2? If dim is closer to very dark than afternoon window light, then you're fine at 100cdm/2. A "subjective" test that you can do is hold a white A4 paper in your hand and compare it with a pure white on your monitor. If they appear to be equally bright and in tone, then you're ok as you are. Judging by comments, I guess we can add this to the list of things modern photographers don't need! Light Meters, Color Cards, and Calibration! I use all three - and when a client views on their monitor, cellphone, laptop.... and think it's too cool or warm, or over/underexposed, at least I've done my due diligence to make sure the source file is as 'correct' as possible. You know, like a professional. i1Display Pro is also much faster and cheaper than the i1Pro. great shadow detail. It even has some noise-reduction circuitry built into it." 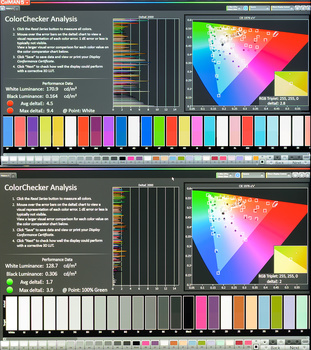 Dell UltraSharp Wide gamut models, the best software to calibrate is the manufacturer software. For the common monitor(without programmable internal LUT)I consider Argyll+dispcalGUI the best option. A colorimeter will read lower values, video signal speaking, IRE0,10,20, will be read faster with a colorimeter, with IRE0 & 10 being a little bit more accurate, IRE20 & 30 just take more time for a spectroradiometer, but they are read very accurately ( more accurately than a colorimeter ). Essentially, a colorimeter is needed for a reviewer to compile ( calculate ) properly the black level of a display. 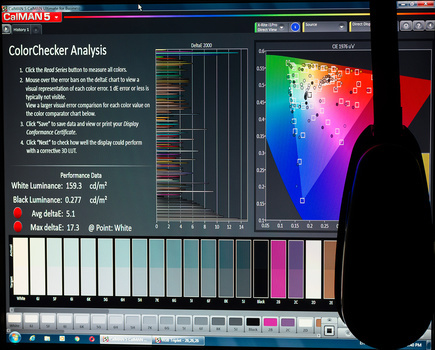 The EV2335W and the ZR2440W are pretty solid monitors when it comes to color accuracy capabilities. With the Hueye Pro, which as you guessed it ain't that good, you still benefit from better color accuracy. They're not performing as good as they can, but they're performing better than with the stock settings. If you can have them calibrated with a spectro, especially the Eizo, you will get to see pretty close to what other people with calibrated monitors will see, and also close to print. Correct ambient lighting can be - I would argue - more important than calibrating + profiling. It's because your eyes will adapt and compensate for the difference of brightness and temperature between your monitor and surrounding light. Also, your ambient light tend to change quickly, depending on the time of the day - compared to the color of your monitor changing only slowly over time. So for example, if you edit your photos during the night - using warm ambient light - your photos may appear too warm next day, when you view them during daylight (especially if you work on 6500K display). But once you view them again during the night time, they might appear too bluish instead. Thus, the color correcting might appear to be endless. Another thing; if you edit on 6500K monitor for example, it's best to look for artificial lighting with same color temperature and with as high CRI value as possible. Also; if your monitor is too bright by default, lowering it's brightness and contrast too much - in order to make it comfortable during the night - might significantly influence its contrast and color accuracy. I solved this problem by placing stool lamp directly behind monitor, and using the light reflected from the (white) wall to reduce the eye strain caused by higher brightness. When a color is so different ( color displayed vs color that should've been displayed ), no changing lighting condition can do that much damage. Sure, if you have a monitor with an average dE of 1.5-2 ( there's for example an Asus VG series monitor that comes very well calibrated by factory, average dE around 1.4, max dE under 4, brightness almost bullseye at 120cdm/2 ), ambient lighting plays a very important role, more than calibration, otherwise no. You do need both though, a good calibration under terrible lighting conditions is as bad as a terrible calibration under perfect lighting conditions. 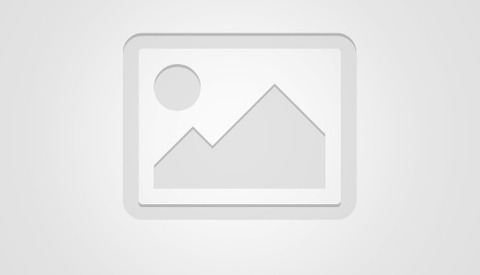 Bill - I just ordered two NEC PA272W-BK yesterday. Choose not to buy the internal calibrator as I have the Sypder 5 Elite already for my ridiculously old Dell 2407WPF's. From the above it sounds like you are saying at the end of the day the Sypder 5 really won't do the job. Better than nothing but not able to achieve what these monitors are capable of (didn't have the funds to jump to the Eizo's). It won't make them display the most accurate colors they can produce, but it will take them to a much better accuracy than their default settings. To unleash their full potential you need a calibration with a high accuracy spectro ( yourself or by hiring somebody ). It comes down to your needs, budget, etc. Ok I understand that it's important. But what about using a color passport and not worrying about calibration? Is that an option? It's not about the capture time but how you manipulate the colors in post-processing. When you edit the RAW/JPEG file you see colors that are off in all 3 categories ( luminosity, saturation, hue ). If your monitor for example has a tendency to oversaturate colors, your colors in post-processing might look very saturated when in reality they aren't ( can be anything from properly saturated or under saturated ). During capture as long as your white balance is set correctly ( auto usually does a good job unless your scene has several light sources with different temperatures, then a white/gray card can solve the white balance issue easily and cheaply ), you're capturing everything properly. It's the editing stage where everything gets harmed because you don't see what was really captured. Ok so when I push my saturation on my uncalibrated monitor, until it looks awefull, then in fact it can be just right on the print? I have a cheap IPS monitor, which I calibrated with an online calibration site. Is that any helpfull or do I really need hardware to exclude the saturation thing? Without hardware ( measurement equipment ) you can't calibrate it. It's something the human eye isn't capable of. You don't need to spend 1200. You can either hire somebody to do it, somebody must be doing calibration in your region, or purchase a used spectro off ebay. Every now and then there's an i1pro spectoradiometer for sale on ebay asking for 300-400$. Since you can get a spectro off ebay for 300-400$ the 150-250$ asked by X-Rite & DataColor ( Spyder ) for colorimeters is out of the question, a "non-sensical" choice in my opinion. Your monitor could be anything. Showing the colors oversaturated, or undersaturated. You might be seeing the images brighter than they are. Or darker. ( Brighter is more common since most monitors come with high brightness out of the box ). Your grays might be cold or warm ( have a blue or orange/red tint in them ). Thanks for sharing, Bill~ I have a question, what is the standard calibration setting for photographer? I believe different brand calibrators come with different softwares, and those softwares have different presets for photography. Therefore, I always used third party calibration software like BasicColor Display Pro. Also, I use custom setting which I was told by an instructor. The settings are: D6000, Gamma 2.0, 100cd/m2. I use this setting because I print my work with a printing company that works with this instructor; therefore, the printing company's monitor has the same calibration setting as mine. They see what I see at home, and this makes the prints I get are exactly the same as I see on my monitor. I also use this setting and try to print my work with other online services, like AsukaBooks, MILKBOOKS, and Artifact uprising, and it looks fine to me. But I still want to know is there a standard or not? Thank you. The printing company is right for giving you exact settings advice so you can see what the print's going to look like. If you want accurate prints with them, that's the only real way. You sacrifice web viewing ( it's already ruined because most people have badly configured monitors! ) for your prints. Can't have two watermelons under one armpit ( a Greek metaphor ). You can create two profiles, one for web sRGB and the one for your prints and change between them accordingly. The "standard standard" for web is D65 sRGB gamma curve (~2.20 ) and... 120cdm/2 ( this one's more flexible, there's an acceptable range 80 - 140cdm/2, allowing leeway to compensate for room lighting conditions ). Then there are different standards for other kind of "purposes" ( pre-press, CMYK printing, movies, etc ). So, there are a few not stone-set standards depending on the work being done ( purpose ). If you find computer monitor calibration standards messy and troublesome, you should look into TV/Projector and home cinema calibration where the movie studios do whatever they want instead of following the "regulations" ( others post-process at Gamma 2.2, others at 2.0, others at 2.4, ignore the reference levels set by THX & Dolby, etc etc ). Grabbing the opportunity that I mentioned TVs, a recent trend is 4k monitors and TVs. Similar to PC Monitors ( the rule about calibration settings being unique for each piece applies to all Monitors/TVs/Projectors/etc ), a demonstration video showing the results ( and the corrections ) of using another person's calibration settings for your device, which... work perfectly for him but not for you. Some might think that "his settings will be closer to the "ideal" than any random settings", sadly, this isn't true as well. You can see how far off they are in the last segment of the video where I reconfigure the settings in real-time. I started calibrating my monitors a while ago but stopped as most of my work is online, not print. 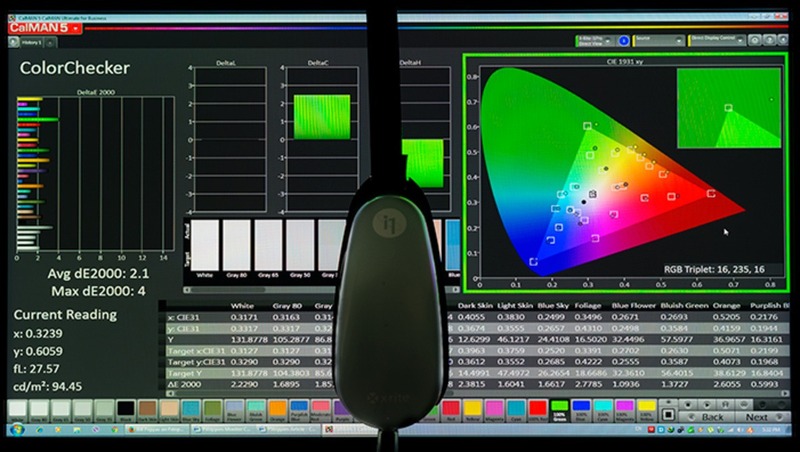 Once I calibrated my monitor with the colormunki my clients were constantly saying they didn't like the color of the retouched image. I assumed it was because clients are all looking at my images on their laptops, tablets and smartphones most of which all have their own proprietary color science. I stopped using colormunki and my clients stopped complaining about color. Anyone else have this issue? Most apple devices have a Adobe RGB color profile so I left my monitors on that setting and haven't had any issue since. Your clients most likely like the oversaturated looks. You calibrated your monitor to a better state than it came out of the box, thus applying less saturation to your photos. 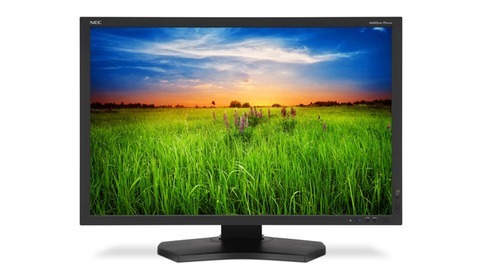 Which monitor would you recommend, EV2736WFS or Eizo CS270?